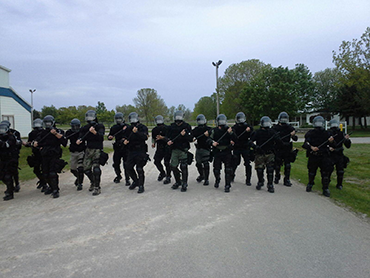 The Mobile Field Force Team of the Oshkosh Police Department is called upon to deal with planned and spontaneous events. These events typically involve large groups of people, situations involving mass arrests or other events where civil unrest may occur. 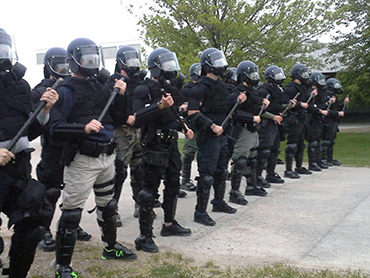 The Mobile Field Force Team is made up of 25 officers who have been specially trained and equipped to react to and stop the illegal actions of people in these groups.